A stylish and dynamic vehicle, the 2016 Ford Fusion will definitely catch the eye of onlookers in Savannah, Valdosta, Brunswick, GA, and Jacksonville, FL. This versatile car is reliable for everyday driving and also won’t break the bank. 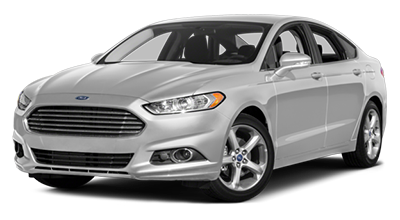 If you’re in the market for a mid-sized car, the Ford Fusion is an excellent choice for you. And when you visit Woody Folsom Ford in Baxley, GA, our amazing sales staff is prepared to offer you a great deal so you can drive home in one today! Now, let’s take a look at how the 2016 Ford Fusion competes with the Honda Accord. When it comes to the 2016 Ford Fusion, you will gladly save money against the 2016 Honda Accord. The Ford Fusion starts at $22,110 for the automatic transmission while the 2016 Honda Accord sedans begin at $22,905 for the automatic transmission. That’s enough extra money that can be put towards extra options or even right back in your pocket. In addition, the Fusion offers features like an overhead console with storage, audio and cruise controls on the steering wheel, USB connection, auxiliary output, and more. Also, keep in mind that these starting prices are even before you speak to any of our sales representatives so visit Woody Folsom Ford to begin negotiations today. If you love choices, then the 2016 Ford Fusion is the car for you. With eight different models to choose from including the S, SE, Hybrid S, Hybrid SE, Titanium, Hybrid Titanium, Fusion Energi SE, and the Fusion Energi Titanium you can find exactly what you are looking for. 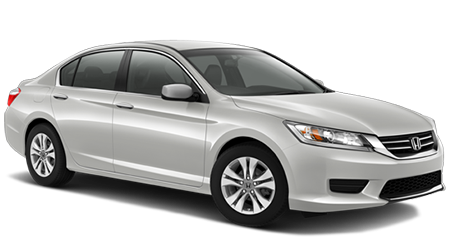 The 2016 Honda Accord comes in six different models including the LX, LX Sport, EX, EX-L, EX-L V6, and Touring. With way more trim choices, plus hybrid and electric options, the Ford Fusion definitely takes the cake when it comes to its variety of models. With a 4-door sedan, you definitely want both you and your passengers to have enough room and be comfortable during a long drive. With the 2016 Ford Fusion, your passengers will have more space with a front headroom of 39.2 in., front legroom of 44.3 in., and rear headroom of 37.8 in. The 2016 Honda Accord has a front headroom of 39.1 or 37.6 in., front legroom of 42.5 in., and rear headroom of 37.5 and 37 in. While the Accord has a 0.2 inches more of rear legroom, overall the Fusion will give your passengers more space.